Do you want to attract recruiters and your next job opportunity with your LinkedIn profile? Make your LinkedIn profile awesome by going through the list below. Choose a professional, high-quality headshot for your photograph. A profile with a photo receives up to 21x more profile views and 9x more connection requests according to LinkedIn. List all the email addresses you use. 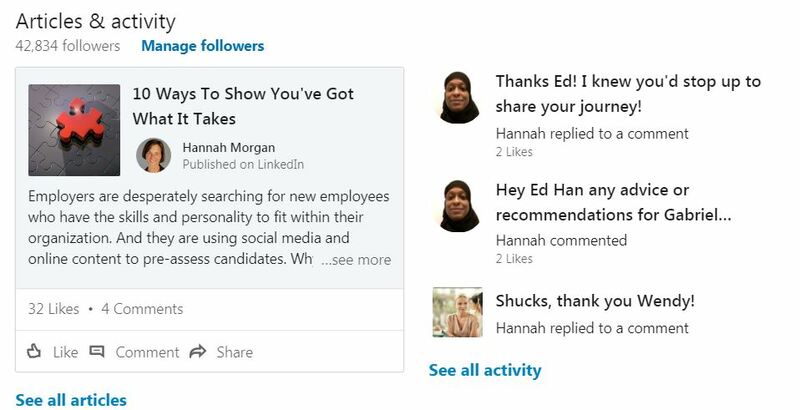 You can set the default email which will be viewable by your connections and the account that receives InMail and updates from LinkedIn. Consider this section a mini bio or the answer to “tell me about yourself.” Highlight the best of your background, experience and skills. You could also provide insight into your leadership style, personality, values, longer-term goals, or outside interests. Keep the reader’s attention by using short paragraphs. And make it more personal by writing in the first person by using “I”, “Me” or “My”. Add a specialties section to incorporate important keywords, skills and technology. You may even want to include your email address to make it easy for people to reach you who are not connected. Include all the significant work history and include strong, keyword rich descriptions and accomplishments under each position. Your work experience should be the same as listed on your resume. You may choose to include more or less detail for each job. List all the skills (up to 50) which are most important to your profession. Keep in mind work processes and procedures and other keywords companies ask for in job descriptions. LinkedIn users with 5+ skills listed are contacted (messaged) up to 33x more & receive up to 17x more profile views (according to LinkedIn). Include all the institutions you attended. List your concentration, major, and/or minor. If you are a recent graduate, include clubs committees and groups you were active in. These sections are particularly helpful for new graduates. List the most relevant and important information. You can reference class projects, special work assignments and side gigs as a project. This is another way to showcase skills and experience. Complete these sections with as much detail as necessary to highlight why it is important. Provide details about your involvement in professional associations and the organizations you belong to or committees you serve on. You may also choose to list the volunteer work you do and causes you support. Use discretion when choosing to include any religious or political affiliations. Your birth date and marital status are the least important details. You may choose not to include this information on your profile. Regularly update your status so your network can see what you are up to. A status update could include a link to an article, information about a presentation you are attending, or it might be a question you would like feedback from your contacts. LinkedIn users can see your activity. It’s sometimes an indication of whether or not your use LinkedIn. Join college alumni groups, professional associations, and any industry related groups. Participate by answering questions, sharing links to interesting articles and engaging in conversation with other like-minded professionals. By default, LinkedIn sets your profile to be viewable to the public. For active job seekers this is the best option. If you’ve ever asked “How can I get in front of more hiring managers?” you’re not alone. This is a common challenge for job seekers. Use the tips above to convert your LinkedIn profile into one that is interesting, keyword rich and shows your abilities. Most importantly, being active on LinkedIn will help you stand out! This is your chance! 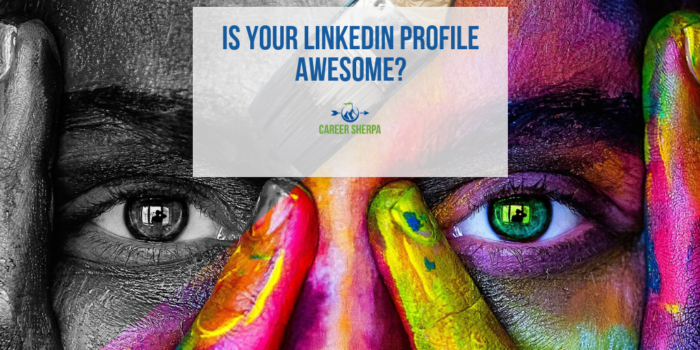 Show off your super, awesome, amazing LinkedIn profile!